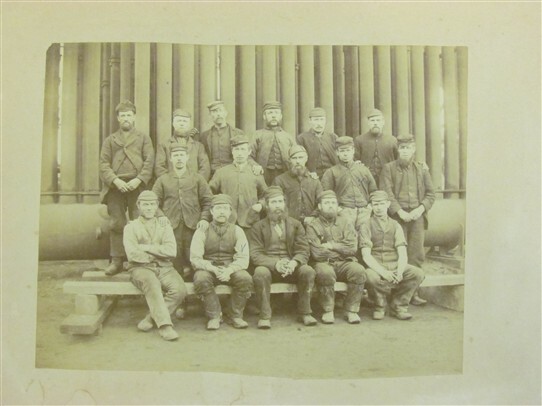 This photograph shows men on the oil works site, though nothing else is really known (date, names, etc.). The writing on the back of the photo says "Father and Uncle Will Weir". Any help providing further details of the photo will be much appreciated. This page was added by Geraldine Sharkey on 21/05/2016.